Seller will give you a gift certificate in the amount of 22,5 RUB for a positive review of the product purchased. Instagram likes-an indicator of your popularity in instagram. 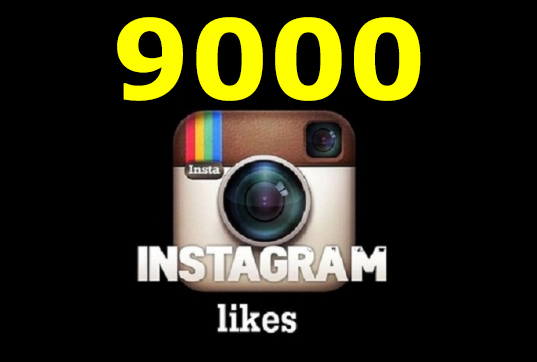 I will add 9 000 likes to your instagram post. The number of likes per 1 post is determined by you (the total will be 9 000 likes). On 1 post at least 900 likes. And 9 000 likes on just one post! The choice is yours, you decide. Can the profile be banned? I give you 100% guarantee that your profile will not be blocked. The work takes place in a completely safe mode, sanctions by instagram will not. These data will be transferred to the seller to complete the purchase and sale of goods. Seller will give you a gift certificate in the amount of 22,5 RUB for a positive review of the product purchased..